See for yourself a highlight of the most read articles in 2016 that were most interesting to our readers. 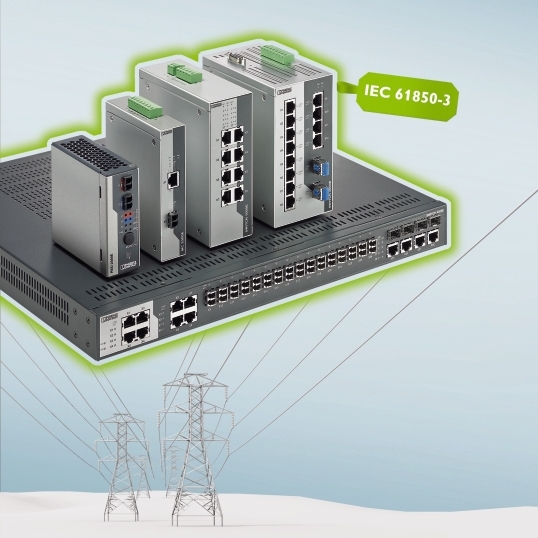 The 4800E series 19″ Managed Switches from Phoenix Contact have been successfully tested by the world-renowned KEMA institute according to the requirements of IEC 61850-3 (as amended in 2013, Edition 2). 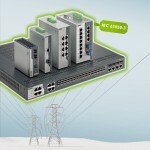 Thanks to the new Ethernet extenders, you can connect Ethernet networks across up to 20 kilometers via simple two-wire cables. By doing so, you can combine Managed and Unmanaged Ethernet extenders in one network. This innovative combination and the extremely easy startup using Plug and Play enable cost-effective networking and diagnostics of all devices and paths via IP. PSRmini is the most narrow safety relay on the market. On widths of just 6 and 12 mm, we provide you with proven safety, thanks to the force-guided contacts. The needs-based structure starting at an enable path also ensures increased flexibility in your application without limiting performance. The TOPMARK LASER marking system provides you with the flexibility to implement the requirements of challenging industrial identification. With over 400 markers for your terminal, conductor, cable, and device marking, you will find the ideal solution for your application. The fourth generation of the high-performance QUINT POWER power supplies ensures superior system availability by means of new functions. Signaling thresholds and characteristic curves can be individually adjusted via the NFC interface. The fact that water is the elixir of all life forms, human beings can live for months without food, but only for a matter of days without water. Life can still exist without the presence of electricity or fossil fuels but not so without fresh water. Urban water usage worldwide is 31 gallons a day per person, with usage in undeveloped area averaging 18 gallons a day. In the western world, 100 to 150 gallons per person per day is more typical, although people only consume 10% of the total production supply. Agriculture consumes about 70% and industry about 20%. The water industry recognized these systems needed even more security after the 2006 conviction of a hacker who seized control of a water treatment facility’s SCADA system in Australia. This security breach resulted in the dumping of millions of gallons of raw sewage onto a resort hotel’s grounds for a period of three months. There are proven “defense-in-depth” security products available to provide protection for industrial networks. The mGuard industrial network security appliances have been widely utilized to protect industrial automation equipment and processes running the newest and oldest operating systems. Among other formats and applications, the mGuard is available as a small, DIN-mount module for factory enclosures, easily enabled by technicians rather than network administrators. It incorporates router, firewall, encrypted VPN tunnels, filtering of incoming and outgoing connectivity and CIFS functions, to provide distributed defense-in-depth, economically and without disturbing production. For more information about mGuard security appliances, please click here. United Water operates and manages water and wastewater systems that serve about 7 million people across the United States of America. In 2009, United Water began to look for an industrial security solution particularly for their remote sites. A solution that is easy to configure, powered by 24 VDC, meets their IT security standards and can last long under harsh weather conditions. In 2010, United Water became aware of the award winning mGuard industrial network security devices from Phoenix Contact, created and developed by their subsidiary Innominate Security Technologies. As Mr. Keith Kolkebeck – the Systems Engineering Project Manager for United Water – mentioned in a recent interview, United Water currently deploy mGuard security modules in multiple locations throughout the Northeast and have used the products both for their SCADA networks and their security networks at remote locations. They have interfaced the mGuard devices with their existing CISCO infrastructure. Not only that, they are also saving money on remote support from their staff and outside contractors and they are saving time and effort visiting sites for minor code changes for troubleshooting. 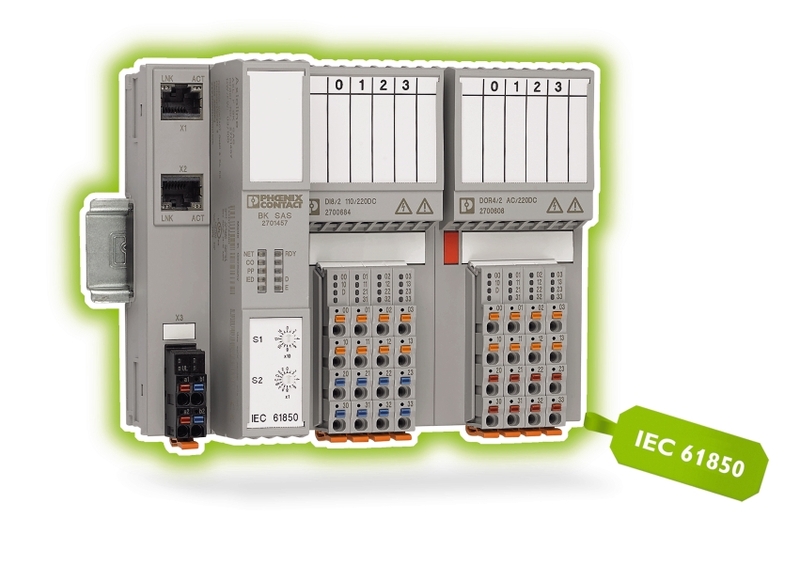 For more information, visit Phoenix Contact Cyber Security page. With effect from September 21, 2016, Phoenix Contact Innovation Ventures GmbH has acquired a share in the Dutch company SecurityMatters B. V. The company that is in Eindhoven is a leading supplier of cybersecurity solutions for industrial control systems. Since its implementation in 2013, SecurityMatters has distributed the platform for network monitoring and anomaly detection, SilentDefense. 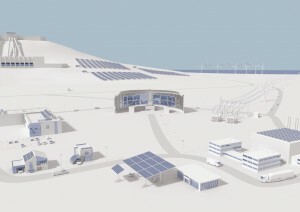 The application areas include the power generation, transmission and distribution, water supply, the area of infrastructure solutions, chemistry, oil and gas as well as industrial production technology. “SecurityMatters offers solutions for the area of critical infrastructure and Industrie 4.0. Especially in the industrial environment, there is a great market potential where cybersecurity solutions are required already today. The product range of SecurityMatters perfectly suits the expertise of Phoenix Contact, especially as regards Industrie 4.0” says Marcus Böker, Managing Director of Phoenix Contact Innovation Ventures. Besides Phoenix Contact Innovation Ventures and Robert Bosch Venture Capital, the syndicate of investors also includes KPN Ventures from the Netherlands and Emerald Technology Ventures from Switzerland. The Swiss company has been leading in the acquisition of the shareholding of the four companies. Phoenix Contact Innovation Ventures has a minority share in SecurityMatters. In recognition of our continuous support in giving back to the community and our commitment to social development, Action Care presented us with a token of appreciation. 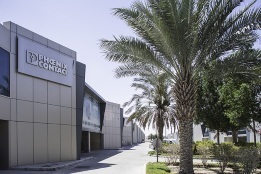 Phoenix Contact Middle East has been extending its support to Action Care for more than five years now. From events like the big annual gala dinner to smaller ones, Phoenix Contact team has voluntarily taken the initiative to participate at various occasions, to help support less privileged people in the Middle East, Africa and South Asia. Additionally, the Action Care Gala Dinner celebrates humanitarian causes that Action Care and its partners supports in the region. Just like in previous years, Phoenix Contact sponsored the gala dinner in 2015 and joined in celebrating the milestones reached, lives changed, and friendships discovered along the way. Action Care is a charity found in the United Arab Emirates which provides humanitarian assistance and conducts a diversity of educational development programs to enhance the quality of life of the community especially those who are disadvantaged. The Clipsafe enclosure series from Phoenix Contact are now broader. In addition to the stainless steel enclosures, 35 robust Ex-certified polyester enclosures are now available for use in process technology environments. These are available in four designs and can be individually assembled with the range of Ex-approved terminal blocks. Enclosures with a double wiring level save space and IP66 degree of protection means that they are safe to use outdoors. Moreover, 46 additional standard polyester enclosures for industrial environments and non-hazardous areas round off the range of polyester enclosures. These can individually go together with all products from the Phoenix Contact product range. Finally, a web form provides a quick and easy way to process both your request and your order. You can simple use it to describe your requirements for an individually assembled box. Overall, Clip Project software enables you to configure terminal strips quickly, conveniently, and without any errors.